Since each round of this puzzle game is only one minute long, you can play a round in between tasks at work or while you wait for your dinner to get out of the microwave. In addition to being a fun time-waster, Bejeweled Blitz is also a fun game to play against your friends. You can see the top scores of all your Facebook friends so you can beat their high score. 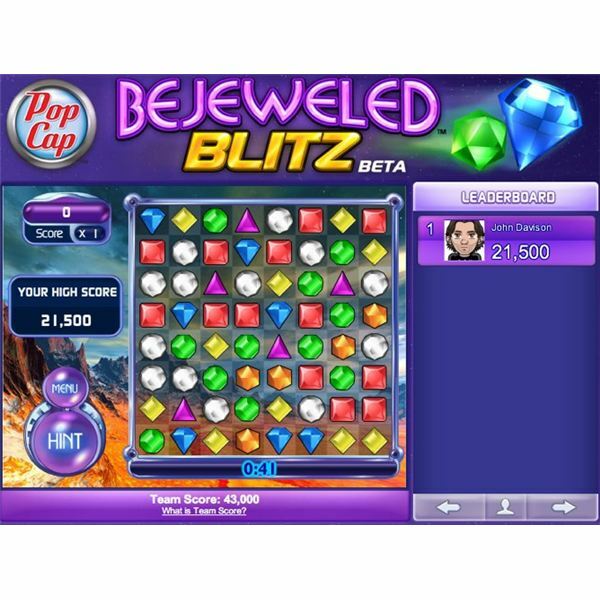 With proper Bejeweled Blitz strategy, you’ll always be on top of your game. To play the game, move colored jewels into place to create a chain reaction with three or more gems of the same color. Since this game is only one minute long, speed is everything. To save time as you make jeweled connections, click and drag the tile you want in the direction you want it to move. This is much quicker than clicking a tile and clicking where you want it to go. After all, one click is faster than two. Start looking for new moves on the game board while you’re last move is still being zapped. 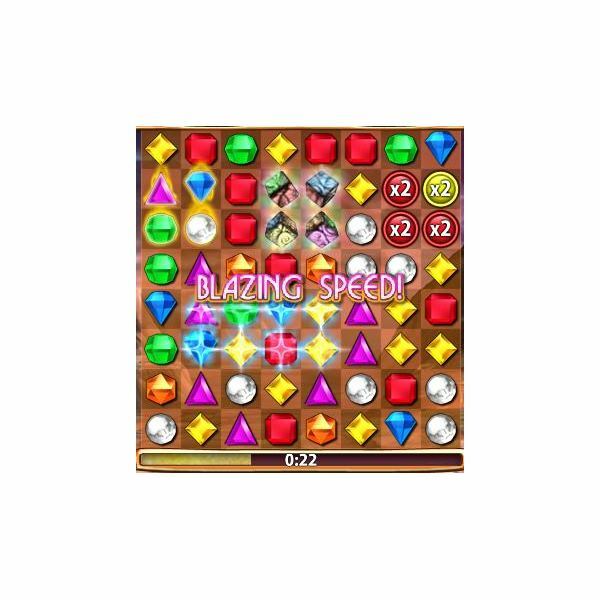 This Bejeweled Blitz strategy will increase your chain reactions and improve your score. For example, let’s say you just made a move that caused a four-line chain reaction. Instead of marveling at your puzzle-playing abilities, focus your attention on the next move that you can make on the board. Don’t worry too much about the fiery gems that are caused when you eliminate a string of four or more same-colored jewels. While these fiery gems explode and raise your score in Bejeweled Blitz, they will eventually explode on their own. After time is up, the game goes into the "Last Hurrah" and all leftover fiery gems and score multipliers explode, increasing your score in that round of Bejeweled Blitz. To save even more time, use a hint when needed. Rather than staring at the board wasting precious seconds, hit the "Hint" button at the left-hand side of the screen. There are no penalties for using a hint. Besides worrying about time, you also need to work on raising your score. The most important things that raise your score in Bejeweled Blitz are score multipliers. Anytime you see a score multiplier, whether it’s "2X" or "5X", work on eliminating that gem from the board. The more multipliers you eliminate, the higher your score. One of the best Bejeweled Blitz strategies you can employ is to work from the bottom of the board. When searching for jewels to eliminate, fix your gaze at the bottom four rows. This will increase the chances of having a long chain reaction because there are more gems and altered rows and columns coming from the top of the board. If you really want to increase your score, spend coins on one of five bonuses. Choose the Mystery Gem, Detonator, Scrambler, bonus +5 Seconds or the Free Multiplier. I highly suggest the Free Multiplier because it adds a score multiplier to the board from the start of the round. This lasts for three rounds.